When I booked my session with Lucas, the intuitive, I had thought I would check on my parents. But soon into our time, in fact right after my granddad popped in with his Irish greeting, Lucas went silent. There was a pause and then he told me he was seeing these incredible light beings from the land of Ogham. Why I didn’t think my spirit guides would avail themselves of this opportunity to communicate with me is beyond me. But they did. Although they are present with me always and I connect with intention in ceremony every day, the messages and knowings I receive, while powerful, can lack clarity. I suppose this was an opportunity for them to be articulate and explicit. And they proved something of an ongoing distraction for Lucas who was very much trying to stay focused on my biological family. Somewhere towards the end of my session Lucas intimated that with my deep connection to these spiritual ancestors he was surprised I had called him at all. “You could do this yourself,” he said. Well, I can’t. Not at this point. Through the many years I’ve been in spiritual community with seers and shaman I have always envied their ability to traverse other realms, to see and hear entities from other worlds. I get a strong sensation of presence but haven’t yet been able to see even my spirit guides. Perhaps one day. Perhaps not. At this point it will unfold as it should. But it begs the question about how we lost the familiar fluency with the spirit worlds that came so easily to our ancestors. Sure, they weren’t all psychics or intuitives. There would have been varying levels of proficiency. But regardless the level of ability, history tells us there was not the widespread denial of such fluency that pervades our current cultural consciousness. So how did we lose this? Technology is an easy answer. But it’s just one aspect of the larger machine-mind consciousness that we have adopted. A consciousness that we are separate from and even superior to the natural world. And so we created our own rhythms and cycles and calendars that cause us to careen through life at warp speeds. In this we have lost touch with the natural rhythms and cycles of the Earth. We have abandoned a connection with the cosmic energy that flows through and animates all life. Without this connection there can be no communion. Living close to the Earth, living in harmony with her energies and seasons and cycles and wandering her liminal landscapes, our ancestors had a natural advantage. They walked lightly on the Earth. Their lives included, and even depended on, spending time just being with the Earth. Opening and listening and receiving the knowing, the wisdom, that vibrates through every strand of the cosmic web. We may have forgotten the Earth but she has not forgotten us. She is with us and available to us. A constant presence that offers an invitation to surrender to her gracious space of portals and thresholds and liminal landscapes. An invitation to reclaim our natural advantage. 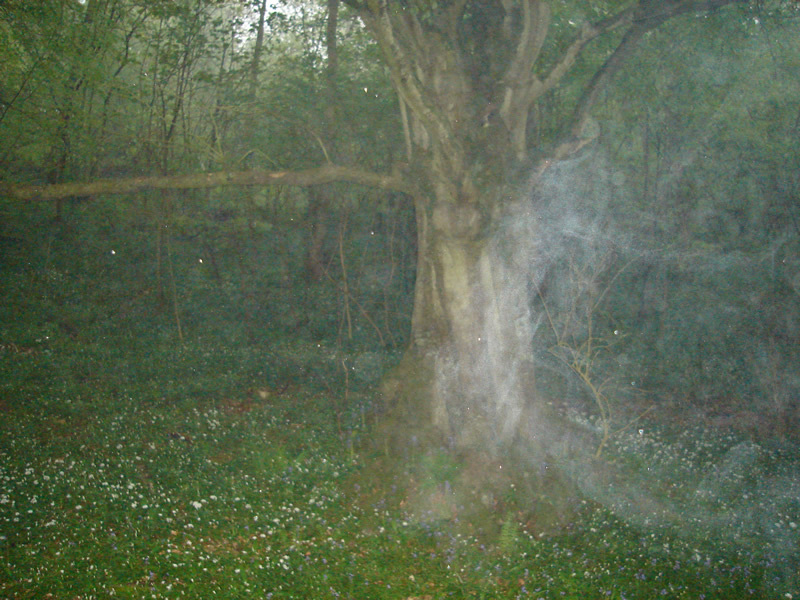 I love Ireland because the Earth and the spirits of the land are so used to humans communicating with them that it makes it easy to feel the Divine around us as well as inside of us.